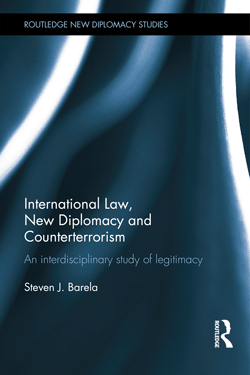 Conceptualizing | Steven J. Barela, LL.M., Ph.D.
We can no longer have any illusions on the nature of the principles of legitimacy: they are human, that is empirical, limited, conventional, [and] extremely unstable. Any philosophical hack can demonstrate their absurdity; any dictator, at the head of a gang of cutthroats, can suppress them. Nevertheless, they are the condition of the greatest good that mankind, as a collective being, can possess—government without fear. An essential dimension of political struggle, whether armed or unarmed, will inevitably revolve around the power to command and the will to obey since their establishment is what organizes a society. How this is instituted and exercised remains a central and oscillating question for any body politic, and it is surely necessary for a government to manage both elements to be defined as functioning. For a community to operate as a unit, decisions and plans must be fixed and then put into action. This clearly requires both command and obedience. Yet, while a commander can be targeted and destroyed with dominant strength, obedience is more elusive and volatile because it is inevitably up to each citizen to exercise through her own individual will. As a result, obedience is an element that cannot always be easily explained through the conventional prism of force. There is little doubt that the use of force has been able to command compliance time and again. Nevertheless, today it has become clear that access to more powerful weaponry has faded as the primary deciding factor in every political struggle. It is therefore necessary to move beyond notions of pure force to investigate how some tactics applied by the less powerful in armed conflict are intended to achieve victory. Thus, this work will instead examine how the strategic goals of those who utilize terrorist acts might actually be achieved. That is, the aim is to achieve their goals through the provocation of a reaction deemed to be illegitimate since they are clearly not employing overpowering conventional force. Weber described the defining concept of the state as, “a human community that (successfully) claims the monopoly of the legitimate use of physical force within a given territory”. At the beginning of the twentieth century, German sociologist and political economist Max Weber put forward a definition of the state that has become central to Western political thought. Weber described the defining concept of the state as, “a human community that (successfully) claims the monopoly of the legitimate use of physical force within a given territory”. The thesis of this work will build on what is considered here to be an essential element of this valuable definition: legitimacy. While much attention has focused on the aspect of physical force found in this definition, the notion of its legitimate exercise is particularly useful for illuminating the line of attack charted by the asymmetrical tactic and strategy of terrorism. Moreover, it should not go unnoticed that Weber emphasized the exercise of force by a state as the key function tied to its legitimacy. Likewise, this will serve to construct the thesis of this work as the US wartime authority exercised in the “war on terror” was at times overreaching and in turn became damaging to the legitimacy of the government. Although it is important to recognize that it is extremely difficult to validate any legitimacy claim, one particular moment at which legitimacy comes into sharp focus is when a state’s use of force is challenged. One historical example that has been pointed out is the legitimacy deficit that the US suffered during the Vietnam War. To be sure, many groups that have employed terrorism have raised the legitimacy of the use of force against the people they claimed to represent as central to their grievance against the perceived enemy government. Illegitimate actions are those involving the use of power without authority—whether committed by government officials, security forces, or counterinsurgents. Such actions include unjustified or excessive use of force, unlawful detention, torture, and punishment without trial. . . . Any human rights abuses or legal violations committed by US forces quickly become known throughout the local populace and eventually around the world. Illegitimate actions undermine both long- and short-term COIN [counterinsurgency] efforts. As we analyze the policies of the “war on terror” in this work, we will find that these exact same examples cited, i.e. the “unjustified . . . use of force, unlawful detention, torture and punishment without trial,” became part and parcel of that very policy. The fact that this military doctrine guiding US forces in their overseas campaigns claims that “legitimacy is the main objective” lends credence to our own theory posited here, and both the coincidence and divergence will be explored in the chapter on international counterterrorism. Once we understand that the actions of government in response to terrorist acts are often directly related to the legitimate exercise of authority and consequently central to the conflict, the need for more thoughtful counterterrorism policies becomes imperative. This concept of legitimacy will be central to our analysis because the exercise of the “legitimate use of physical force” ultimately bears upon obedience to command. It will be posited that those who employ terrorist attacks attempt to achieve their strategic goals by driving a wedge between command and obedience within the enemy society. By provoking an overreaching reaction from a government to deal with the terrorist threat, or by triggering a response that is considered to be outside of the confines of the government’s authority, the intention is that the citizenry of the rival society will deem the actions carried out to be an illegitimate exercise of physical force. If the determination of illegitimacy pertaining to a policy or government becomes widespread, that is to say, that citizens no longer orient their actions in accordance with the authority, then that society is significantly destabilized because it cannot function or move as a unit. Even before such a drastic state of affairs occurs, a government that has a diminishing pull toward compliance with its authority encounters difficulties. That today’s predominant purveyors of terror wish to immobilize and disorient their enemy to help reach their strategic goals is hardly controversial. In some measure, this will be an explicit conceptualization of what has been broadly suggested by other analysts. Most importantly, however, the objective of this work is first to illuminate the manner in which non-state actors that employ terrorism attempt to reach their overarching goals through a “strategy of provocation” meant to target legitimacy. Next, to enrich the discussion of legitimacy, we will present a distinctive way to conceptualize the specific content of legitimacy so that it can be applied as a series of lenses (i.e. tools of analysis) for viewing and discussing this issue. In doing so, it will be possible to highlight the critical role that international law and new diplomacy have played in evaluating the overreach in the “war on terror.” With this clarified understanding of the enemy’s strategy for reaching its objectives, we can have valuable conversation about how a government attacked by terrorism can best defend itself. …the objective of this work is first to illuminate the manner in which non-state actors that employ terrorism attempt to reach their overarching goals through a “strategy of provocation” meant to target legitimacy. To begin our discussion of legitimacy as a target, it is first necessary to explain the structure of this chapter. It is suggested that the sometimes rigid disciplinary lines of academia have not fostered sufficient attention on legitimacy during times of political struggle precisely because of its interdisciplinary nature. Nonetheless, there are important works that can be utilized collectively as solid building blocks to construct our theory. The question of what makes power legitimate has been of concern for a whole host of professional groups (legal experts, political and moral philosophers, historians and social scientists, to name but a few), who have approached the subject from diverse perspectives using primarily their own professional expertise. Yet offering a single disciplinary perspective on the concept of legitimacy can skew and distort this topic of deep complexity. It is therefore preferable to employ an integrative methodology that sheds light on this multifaceted concept so as to overcome a narrower approach. To do so, we will present the pertinent work on legitimacy in a way that recognizes, grapples with and illuminates the interdisciplinary nature of this concept. To start, it is helpful to discuss some of the different terms used to describe a research project that is meant to bring together and integrate various disciplines to resolve a question too complex to solve through one field of study. In general, there are three primary terms used to express this type of approach. Multidisciplinarity looks at a topic from the perspective of several disciplines at one time but makes little attempt to join together their insights and thus is often dominated by the home discipline of the researcher. Interdisciplinarity brings together a collection of viewpoints from various disciplines and then draws on the diverse insights by finding ways to integrate them. The third term, transdisciplinarity, is meant to capture “that which is at once between the disciplines, across different disciplines, and beyond all disciplines”. One useful way to think about these terms is to use the analogy of a jigsaw puzzle. Multidisciplinarity is about bringing differing points of view to the table as separate pieces of a puzzle but making a modest effort to see how they might fit together. Interdisciplinarity is when one tries to assemble these puzzle pieces by comparing them, looking for the concave and protruding portions so as to find how they might usefully interact and join together. Transdisciplinarity is meant to describe when the pieces of a puzzle have been fit together in a way that produces a whole new image. While it is important to recognize that this metaphor is imperfect because the outcome of a jigsaw puzzle is predetermined and the way data comes together is much more fluid and supple, it is still a worthwhile analogy that communicates well the objective in looking outside of one discipline for answers to a complex question. Thus, the first part of this chapter will be organized as a piece-by-piece construction of differing ideas on legitimacy put forward by the most pertinent intellectuals from different disciplines. In this way, it will be possible to see the logic and reasoning for the conceptualization of legitimacy as a target. While there are certainly various scholars who have discussed the concept of legitimacy, its meaning and application have been quite varied. Consequently, we will present the pertinent ideas from the authors of different disciplines and allow them to come together in this chapter in what is meant to be an interdisciplinary dialogue. Consequently, we will present the pertinent ideas from the authors of different disciplines and allow them to come together in this chapter in what is meant to be an interdisciplinary dialogue. Sections II–VI will explore the most relevant authors who have treated the concept of legitimacy relative to the context of political struggle. We will start by exploring the literature on the joining of political violence with legitimacy to arrive at the classical works of sociologist Max Weber and philosopher Jürgen Habermas on the subject. Then social scientist David Beetham’s work on legitimacy will be investigated to expose his valuable discussion on power relations and their deterioration. Next, political theorist Hannah Arendt will provide very beneficial insights on the idea of coerced obedience and its limitations, along with the definition of power as action in concert. 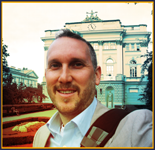 The work of international legal scholar Thomas Franck will then present us with constructive language and vocabulary for better understanding the concept of an uncoerced pull toward compliance. With this we will arrive to the historian Guglielmo Ferrero who will offer an indispensible discussion and imagery that will allow us to put forward our own unique conception of legitimacy as a target of terrorism. Section VII will then present the logical and necessary next step. 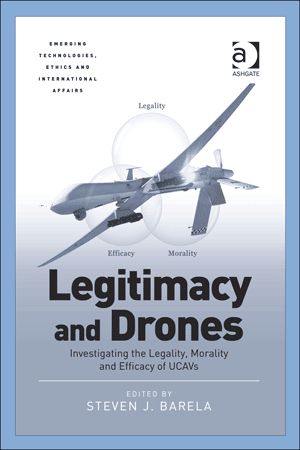 That is to say, it will expound on the work of legal philosophers François Ost and Michel van de Kerchove to hypothesize a structure and content for understanding legitimacy in our context presenting legality, morality, and efficacy as the interactive components being targeted by those who employ violent attacks on noncombatants. Next, Section VIII will discuss how the interplay and overlap of these elements can be understood through the work of legal philosopher H. L. A. Hart, along with presenting how the model will be applied in this book in Section IX. FERRERO, G., The Principles of Power (New York, G.P.Putnam’s Sons, 1942) at 314-315. WEBER, M., ‘Politics as a Vocation’ in Gerth, H.H., and Wright Mills, C., (eds. and trans.) From Max Weber: Essays on Sociology (New York, Oxford University Press, 1946) (original emphasis) at 78. This speech was delivered at Munich University in January 1919, but not published until October of that year. See COOK, D., ‘Legitimacy and Political Violence: A Habermasian Perspective,’ (2003) 30,3 Social Justice 108, available from Online Questia Library (last visited June 2013). “As noted, legitimacy may be at issue when a state’s use of force or violence is challenged. (One of the clearer historical examples of this challenge to a legitimacy claim occurred in the United States during the Vietnam War. )”; See also Army Field Manual (FM 3-24), Counterinsurgency, U.S. Department of Defense (15 December 2006), “At that time, the North Vietnamese shifted their focus from defeating U.S. forces in Vietnam to weakening U.S. will at home. These actions expedited U.S. withdrawal and laid the groundwork for the North Vietnamese victory in 1975.” at 1-8, §1-36. Idem, COOK. “Indeed, the legitimacy of a state’s use of force or violence has been a central issue raised by organizations like the PIRA, the PLO, the ANC, and the PKK”. FM 3-24, Counterinsurgency, at 1-24, §1-132. This phrase comes from the classic work on this subject, LAQUEUR, W., Terrorism, (London, Weidenfeld and Nicolson, 1977) at 81. REPKO, A., Interdisciplinary Research: Process and Theory (Los Angeles, Sage Publications, 2012) at 20-21(original emphasis).